One of the most basic hiking gears is the camping tent. In most overnight climbs, a tent would be required. A tent offers cold, rain, and wind protection for both the camper and his gear; it also protects against animals, insects, and falling branches, especially when camping in dense jungles. Since energy and rest is required for multi-day climbs, a tent is instrumental in facilitating the much-needed sleep that would prepare the hiker for the day ahead. Hammocks are also an alternative option as an outdoor shelter, although it is only in Palawan where mountaineers frequently use these as their normal gear. The inner tent, or tent proper, is the main tent. To set it up, one uses the poles, usually 2-3 foldable beams made of metal or fiberglass, for structural support; as well pegs that attach the tent to the ground. To protect the inner tent, a flysheet – usually waterproof on the outside – covers it. To protect the inner tent floor from getting wet, a groundsheet is either built-in with the tent or a separate sheet. Other parts of the tent include the vestibule, which is the floorless outer portion usually in the entrance of the tent where one can store gear. In terms of structural integrity, tents are categorized as ‘freestanding’ and ‘non-freestanding’. Freestanding tents can stand alone as long as it has its poles in place whereas non-freestanding tents have to be attached on the ground. In terms of capacity, a tent is described as “two-person”, “three-person”, and so on. Ideally, this is the number of persons that can sleep in the tent comfortably without your hiking packs and gears inside. However, especially in buying tents abroad, these are American or European standards; such that a “two-person” tent can actually sleep three or even four persons, ala sardines. In terms of shape, there are different kinds such as dome, tunnel, A-frame, etc. In the Philippines, the most common tent, and the cheapest, is the dome type; many hikers would go for the tadpole type which has better aerodynamics / space efficiency and is oftentimes more lightweight. 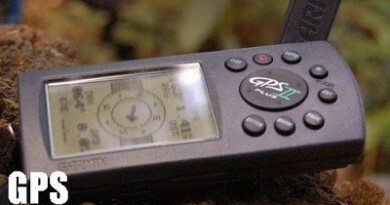 Hybrid types, such as those of MSR, combine various designs. Tents may also be classified as ‘single wall / single skin’ or ‘double wall / double skin’. This simply denotes presence or absence of the flysheet or external covering. In shopping or browsing the Internet for tents, you will encounter technical descriptions that are also looked-into by hikers. First, there’s the weight. When a tent is described as “lightweight”, you may want to look at actual weight in pounds or kilos. Check also if the weight includes pegs and extras. The lightest tents for 1-2 person use usually weigh less than 1.5 kilos (4 pounds). The material of the poles is also examined, with aluminum alloys and other metal alloys being the lightweight ones. Second, there’s the dimensions (i.e. 215cm x 130cm x 95cm) which will give you the idea of the tent size. Aside from the length and width, the height, also known as ‘interior peak height’ will tell you if you can sit inside the tent. The presence, number, and size of vestibules is also considered. As mentioned earlier, you can stow your gear in here so if the space is large enough, you will have the entire inner tent as sleeping space. Aside from vestibules, tents come with other features such as loops for clothes, flashlights, and ‘attics’ where you can store valuables. Since ease of setting up is also given premium, many would also prefer clip design, in which poles are just clipped to the inner tent, rather than inserting the poles in sleeves. This saves time, so you may also want to look if the tent has this feature. First, find a suitable place where the ground is flat. Remove any stones or objects in the site. Avoid relatively low ground where rainwater might collect; avoid setting up tents where branches or other objects are likely to fall. On windy conditions, make sure the ground can hold your pegs securely. Second, orient your tent according to campsite structure. If totally flat ground cannot be found, orient the tent in such a way that you would sleeping with your head is inclined higher. Once you have decided the position and orientation of your tent, lay down the ground sheet. Make sure it is smaller than the floor area of the inner tent so it won’t catch water. When the groundsheet is in place, unfold and place the inner tent then attach the poles. Some tents have differently-sized poles so make sure you’re attaching the right pole at the right place. When you attach the metal poles together, be mindful of your environment as you might hit other campers. When using an old tent, be careful also not to stretch the flexible cord too much. Fasten the poles to their attachments. Afterwards, place the pegs in stable ground; if winds are strong you can place rocks above them. Finally, cover the inner tent with the flysheet, and attach the flysheet also with pegs. Make sure that the flysheet and the inner tent wall are separate from each other. This is to prevent moisture and rain to enter the inner tent. Disassembling a tent is just performing the above steps in reverse order. Make sure you keep track of your pegs. Remove all stuff inside the tent and clean the floor before unfastening the pegs. Make sure the tent is folded properly so it will fit in its cover. In addition to the tent, hikers bring ‘earth pads’ to act as sleeping mats. 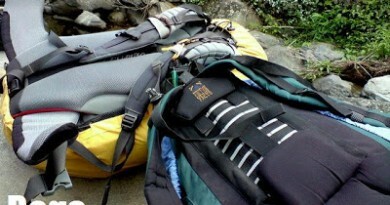 These are commonly wrapped around the walls of one’s hiking pack also to support the shape of the pack, and to save space. Outdoor shops usually have earth pads available. Optionally one may also bring sleeping bags – modern ones come in very lightweight, packable forms – but personally I can make do without one. When inside the tent, you can also use your light packs, dry packs, or inflatable pillows as cushions. When raining, avoid sleeping too close to the inner tent walls, and make sure your valuables aren’t apposed to the walls as well. In a tropical country such as the Philippines, of prime concern is weather, particularly water, resistance. Rain must always be considered a possibility even during the summer months, so a tent must have excellent protection against rain and moisture. Another factor to consider is one’s hiking preferences. If you climb as a group, then it might be better to invest on larger, 3-5 person tents whereas a 1-2 person tent might suffice for a freelance mountaineer who wishes to self-contain. The features mentioned in the “Technical stuff” are all very good but personal choices would also come into play: if one cannot easily sleep in the outdoor, a more convenient, spacious tent might be the answer. Most sporting goods stores in malls would sell camping tents of the dome type variety, but if you’re seeking to invest on a good quality tent, specialized outdoor shops such as ROX Philippines at the Fort would offer a variety of tents depending on your needs. The range of prices is very wide, with the cheapest dome tents selling for P800 and the top-of-the-line MSR and North Face tents going for P20,000. My first ever tent, dating back to my days as an Eagle scout, was a 2-person Coleman which we got for P2,000. Now I’m using a 1-2 person Columbia tent – which my sister got on sale in the US for $60 – and it has worked thus far for me. The more expensive the tent, the more features it will have. My suggestion is, first consider your hiking lifestyle: if you’re a regular climber doing climbs more than once a month, a good tent, no matter how expensive, would be a worthy investment in the long run. Check out internet prices also to compare it with store quotes. If you’re on a budget, though, let me assure you that in most mountains in the Philippines, even the most basic of tents can survive. At the worst, you’ll get wet and cold inside – so make sure you’ll have those Ziplocks for your cameras and cellphones! Front photo courtesy of Alexskywalker. Many thanks sir! 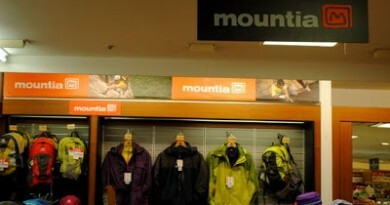 References used in the article include individual websites of outdoor companies such as MSR, North Face; as well as various user posts in the Internet. 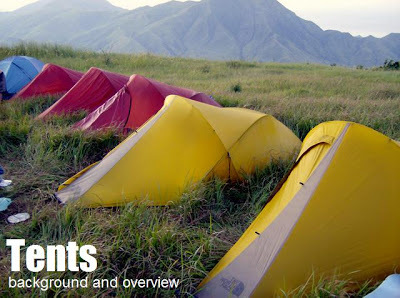 20 Comments on "Tents: background and overview"
Totoo pong pwede na ang reinforced dome type tent with full rain fly para sa karamihan ng bundok dito sa Pilipinas pero share ko lang experience ko. Nasa Pico de Loro po kami last Saturday at nagkataon na malakas talaga ang hangin ng gabing iyon. Yung mga naka dome type (at kahit na yung reinforced dome type with full rain fly) ay feel nila may naglalaro ng tent nila kasi magalaw at nahirapan silang makatulog. While ako, naka tadpole po ako, eh smooth sailing lang ako sa strong winds na yun. So having an aerodynamic tent design is also a plus factor in making your outdoor experience pleasurable. Any comments on the New sandugo tadpole tents? Its only 6K and they are offering lifetime warranty.. hmmmmmm saw one at trinoma, but they dont have a picture ready at that time. I've been told that some tents are "inappropriate" for the kind of wind we have and the best. They are not produced locally and light tents have been great and I am slow to compete with the best hiking tents and very expensive brand. Bergen is considered, which requires a large tent outside to resist rain and moisture. I'm currently looking for a rainfly for a two person and 4 person dome tent. I'm in a low budget so I prefer rainfly since I already have two tents. Do you guys have any idea where to buy one?